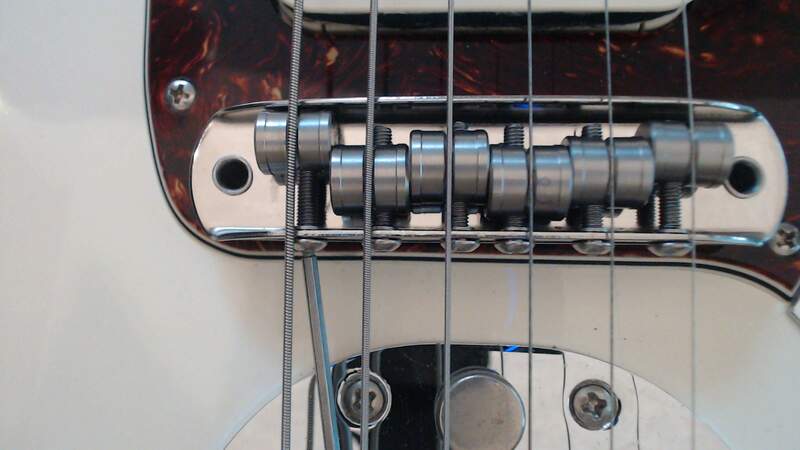 Screw in the new bridge mounting studs with the narrow end facing upwards using the supplied Allen wrench . 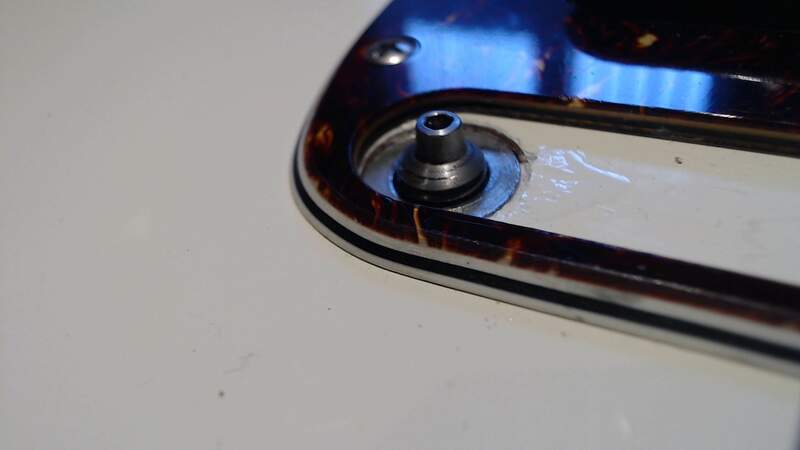 Adjust the studs so that the top of the stud is approximately level with the face of the guitar, this is only an initial setting and is not critical. 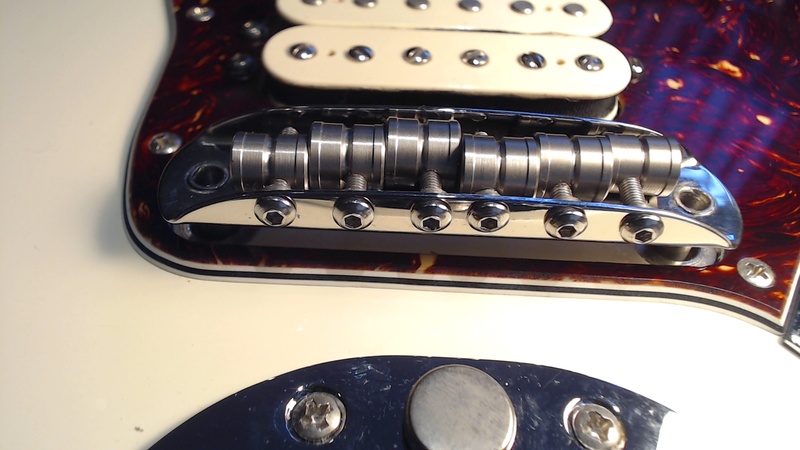 Place the Staytrem bridge on the top of the mounting studs, push down to make sure the support posts are properly located on the studs. 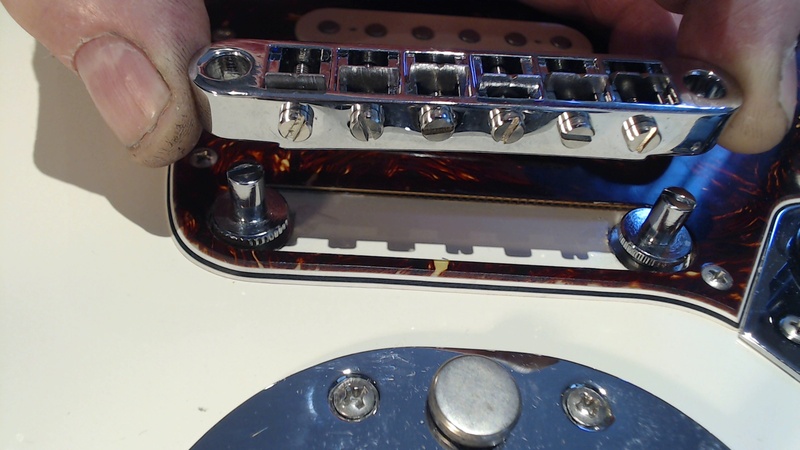 Refit and tighten the strings but do not tune the guitar yet. 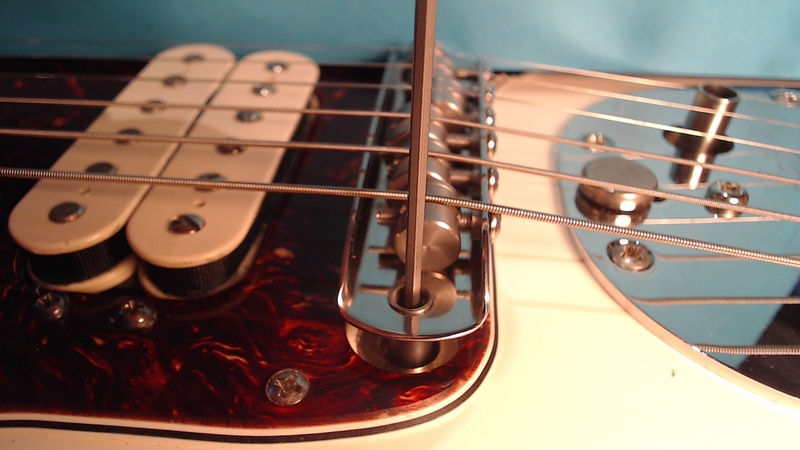 Once the string tension is applied move the bridge to a central position. The bridge will not be fixed rigidly but it will be stable and will not move under normal playing conditions. 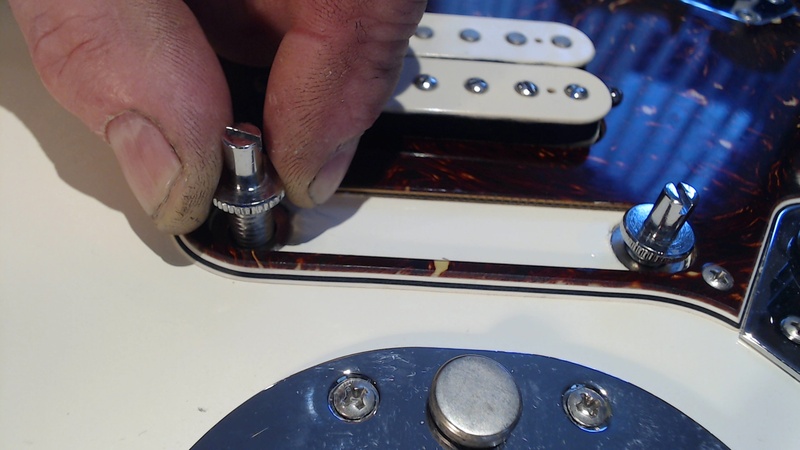 Using the supplied Allen wrench adjust the height of the bridge to obtain the correct action. 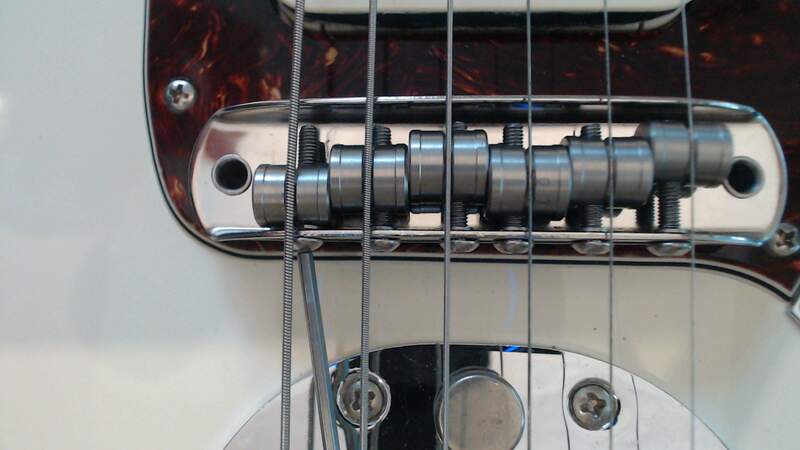 Pass the Allen wrench through the holes at each end of the bridge to engage with the hexagon in the mounting studs. Turning clockwise will lower the bridge and turning anti-clockwise will raise the bridge. Finally tune the guitar and set the intonation. 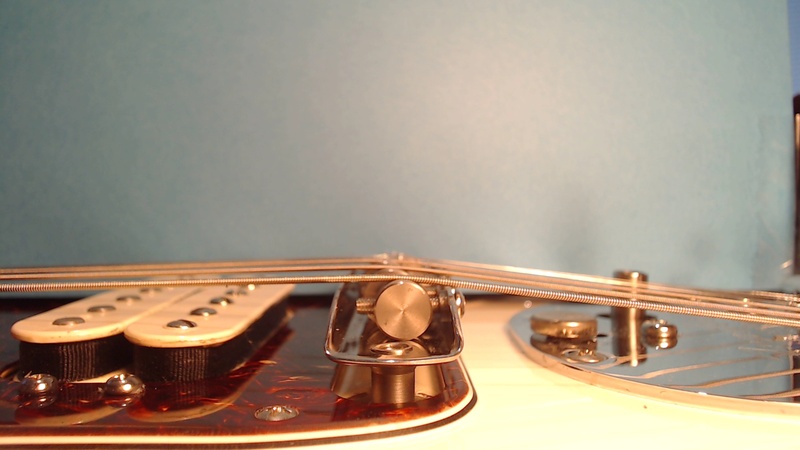 If a saddle reaches either edge of the bridge when setting the intonation, as shown below on the low E saddle, please do not continue turning the adjusting screw. If you do the screw retainer will be forced out and the screw will become loose.